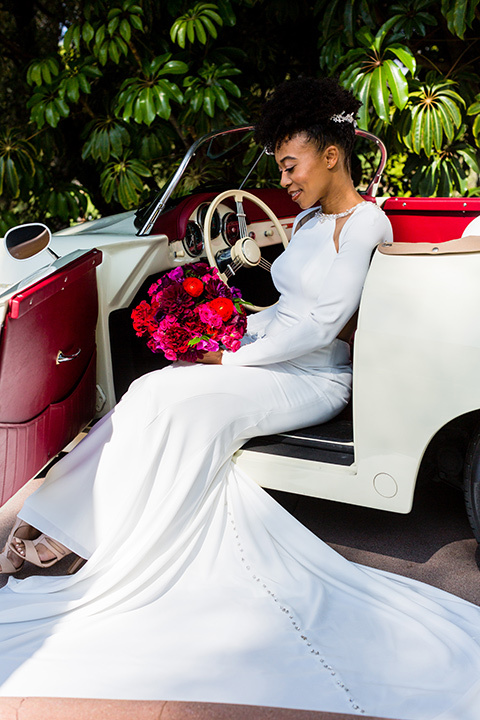 What happens when you combine the uber chic essence of 007 with fun pops of color? 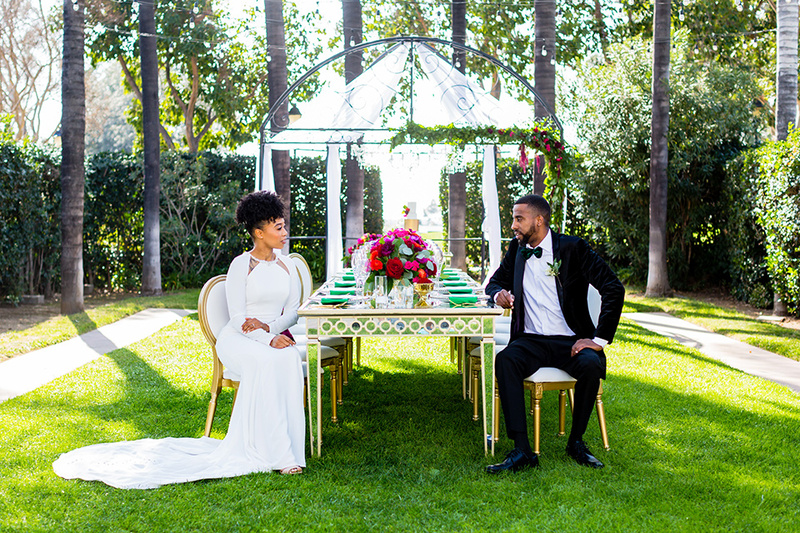 You get this gem of a wedding, what’s what! 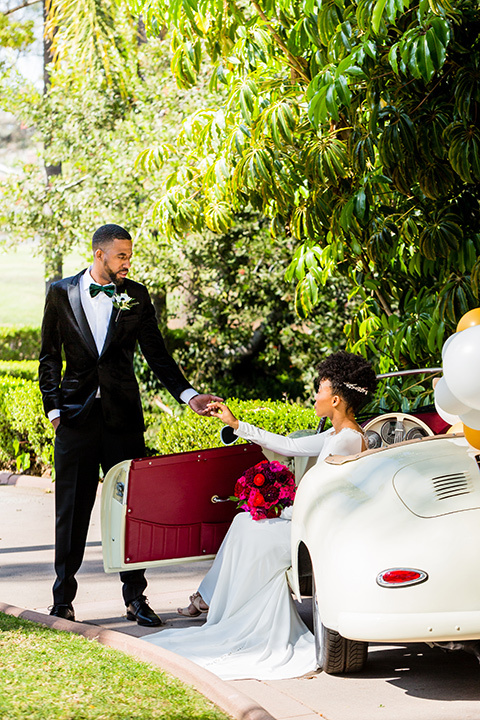 From the creative minds of Flawless Weddings and Events + Erika’s Elegance Weddings, we are excited to show you this James Bond inspired wedding! 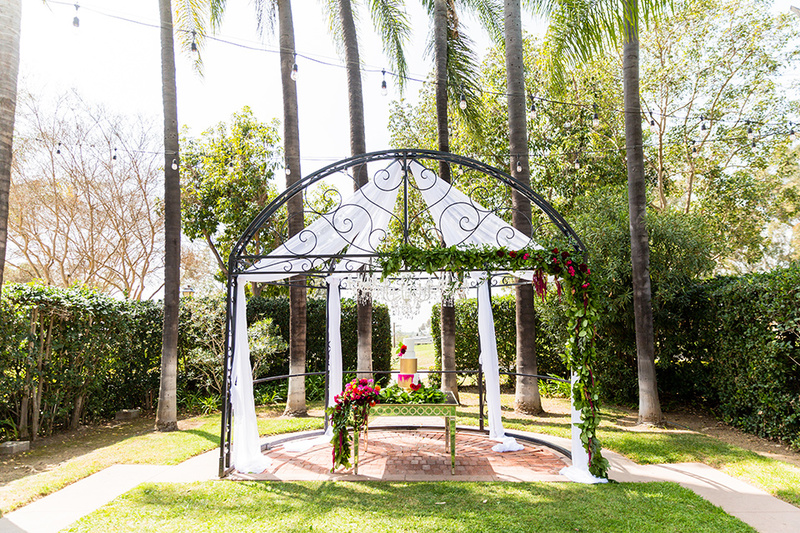 The Muckenthaler Mansion is a gorgeous outdoor wedding venue was the perfect canvas for the sweeping bright florals and décor. 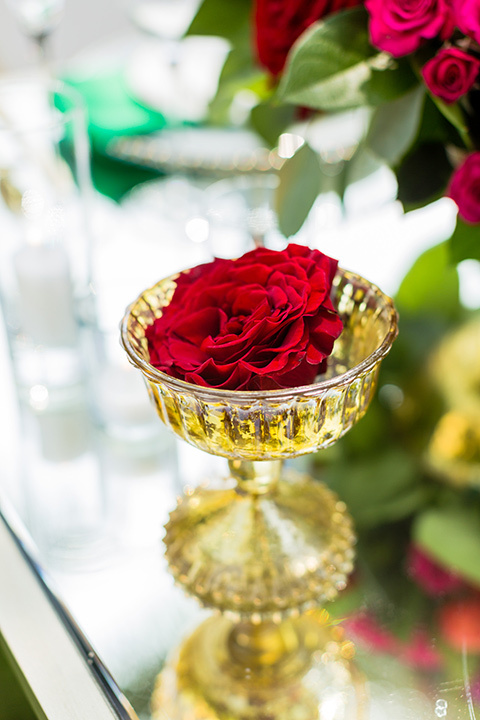 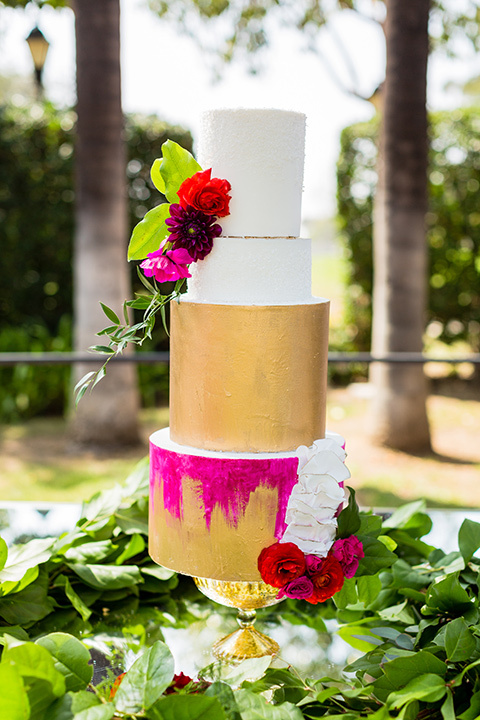 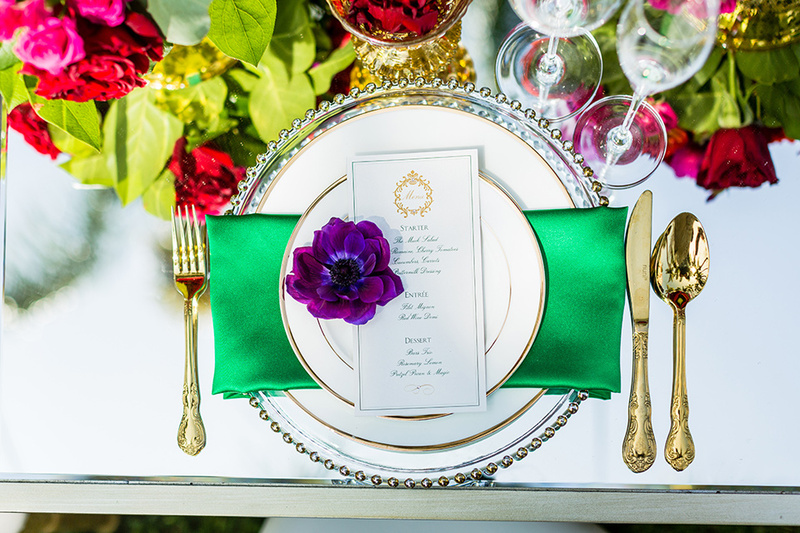 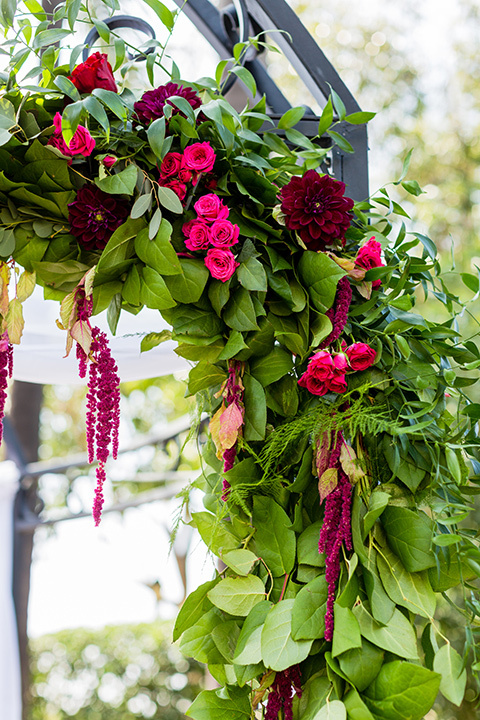 We love that this shoot was not afraid of color or metallics. 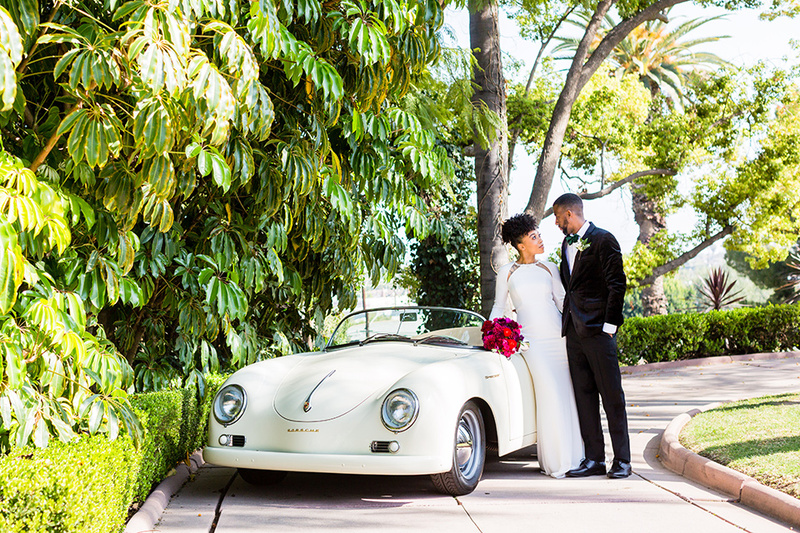 Let us also not forget the vintage white convertible Porsche, which was the coolest touch to this sleek wedding design. 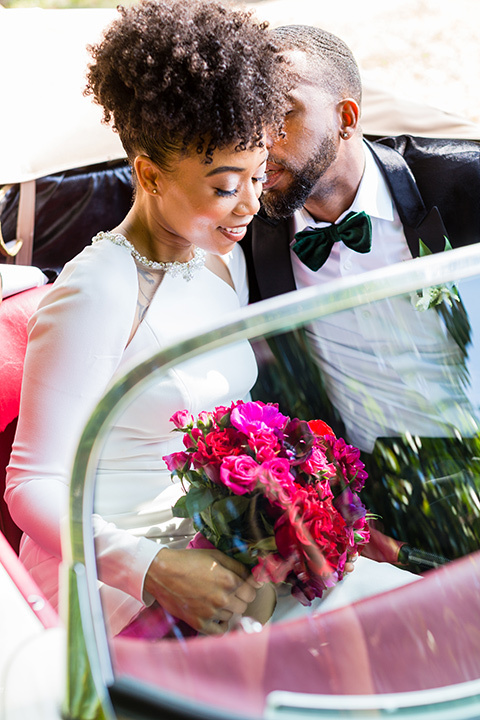 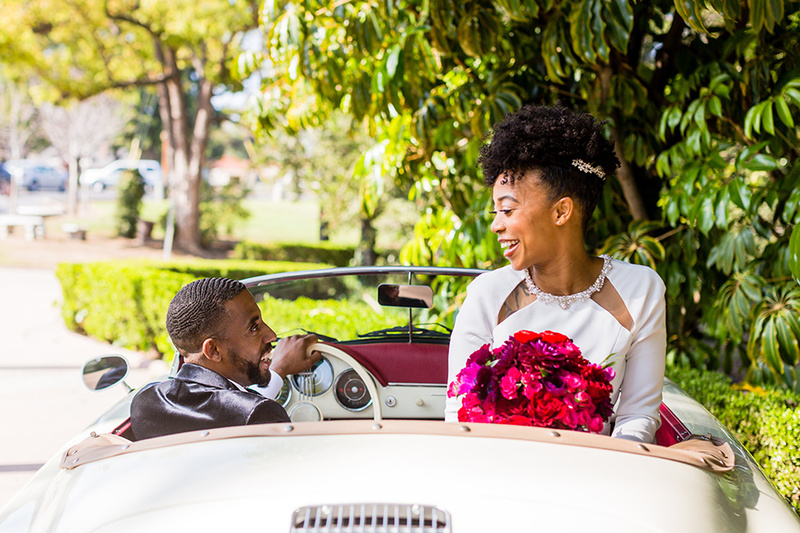 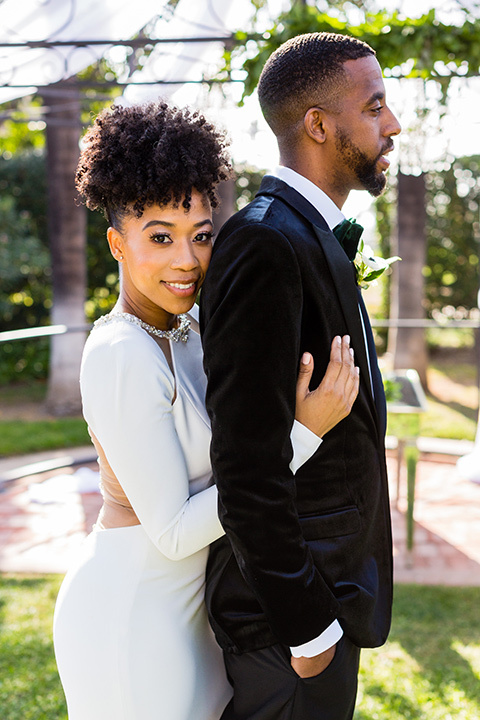 The bride wore a stunning satin dress with a high neckline and sleeves, with an added crystal back detailing that was perfect for the feel of this wedding. 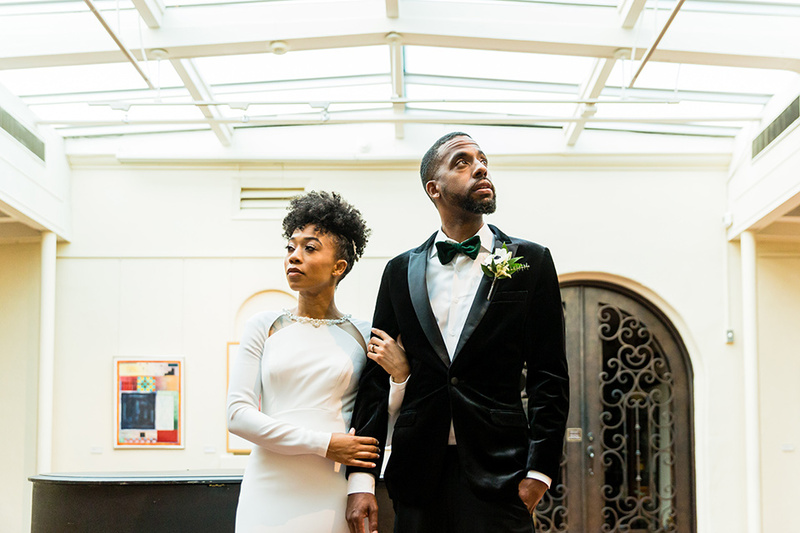 The groom one of our favorite looks here at Friar Tux, the velvet tuxedo. 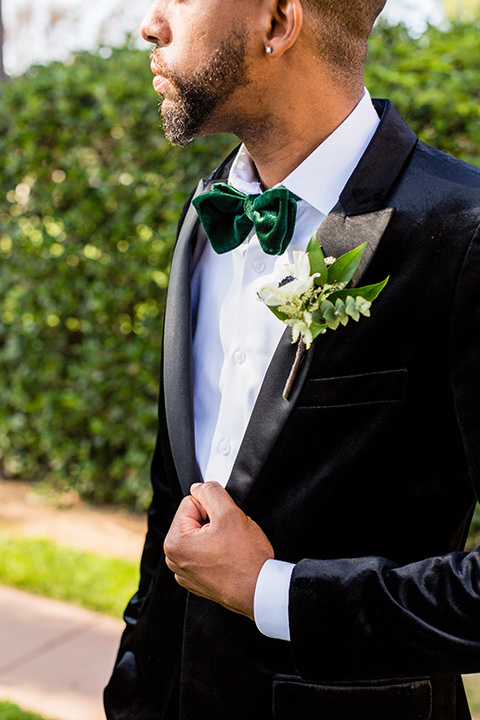 This style has been on the come up for a while and set in stone as a leading tux fabric after this year’s award season where many celebrities adorned this style. 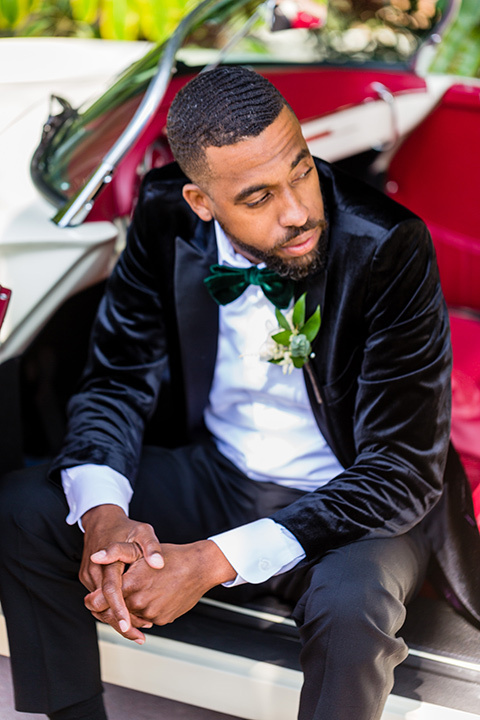 We wanted to bring a little color to his tuxedo look by adding a deep green velvet bow tie, to pick up the subtle tones of the venue and florals of the wedding. 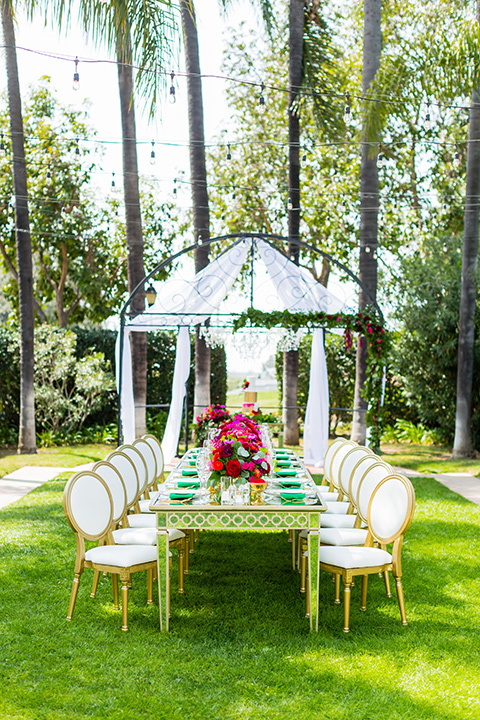 This shoot was also featured on California Wedding Day.